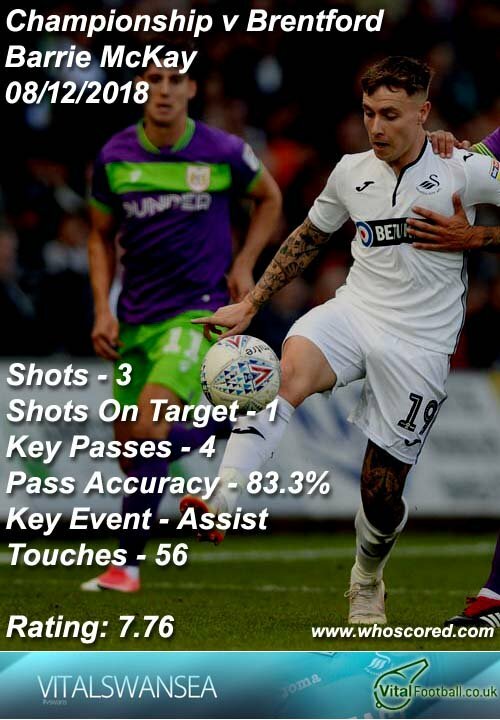 Swansea City winger Barrie McKay has played a bit-part role this season – coming in and out of the starting line-up – as manager Graham Potter juggles his squad of players. Last weekend he was drafted back in at Brentford playing in a central attacking role rather than on the wing and it was arguably one of his best performances since the opening day of the season. The former Nottingham Forest man was lively from the very first whistle, racing forward to apply good, high pressure, forcing a mistake amongst the host’s defence, stealing possession before squaring the ball to Wayne Routledge to open the scoring for us within 23 seconds. McKay looked more comfortable than he has done recently when played on the wing. He enjoyed a good first hour in the game before fading as Potter began to make defensive changes in the hope of guaranteeing the three points. McKay was the top rated Swans player in the 3-2 victory, level with Wayne Routledge with a rating of 7.76/10. The two players combined for the opening goal, McKay also made 4 key passes in the game while Routledge provided a secondary assist for our third. 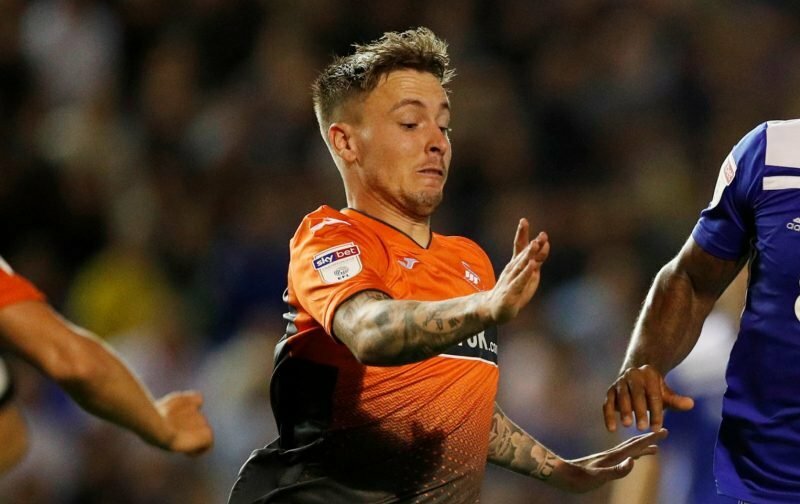 Bersant Celina was dropped to the bench for the game where McKay took over at number 10 and one fan commented on social media that the Kosovan should be worried about his first-team place. Was very impressive in there. Post-game attention all fell to returning Dyer and Routledge but McKay had as good a game as either, and much improved from showings on the wing where he fades out of games. Kept more active centrally he shows his quality. Celina should be worried.